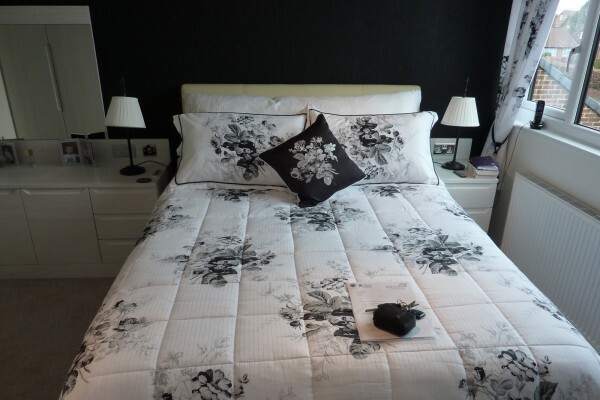 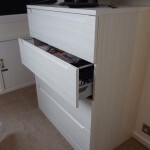 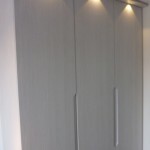 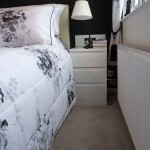 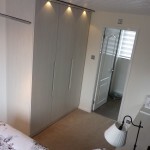 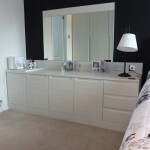 A fully fitted made to measure bedroom in Hacienda white with finger-pull doors and drawers. 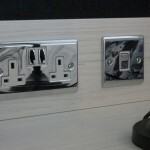 We installed new plugs and light switches next to the bed and changed all other sockets to match. 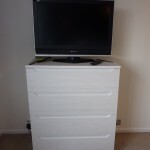 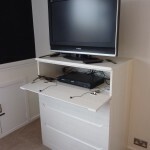 A drawer unit houses the DVD player and has an infared controller so it can be used whilst closed. 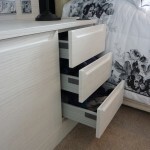 The design makes the best use of the space and provides ample storage.